“You are not anxious to do this. Well, that’s not exactly right. You are anxious, in the sense that anxiety is a low fluctuating hum beneath your surface calm. You are prepared to do this only to protect yourself. You really have no wish to hurt her. The memories with this one are too fresh. Too sweet. Too vivid. But you will probably have to do it. And, you tell yourself, several other important functions may well be served. Confusing the issue is one. Throwing suspicion elsewhere is another. Sentiment cannot be allowed to defeat self-preservation. Isn’t it delightful when I book is so gripping that you don’t realise how quickly you’re reading it until you suddenly surface and think, ‘Oh!’ I must say I enjoyed reading the synopsis, it does actually sound very good, so am looking forward to your review. This book was so easy to read, with a free flowing storyline, great narrative and dialogue and excellent characterizations – it’s no wonder I became so engrossed! 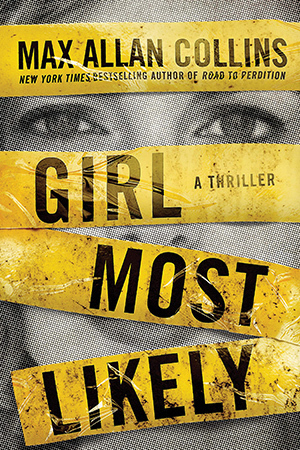 Generally my reading tends to be sporadic and quite slow these days and I didn’t have any more time to allocate to ‘Girl Most Likely’, but I just seemed to get through the pages much quicker than usual. 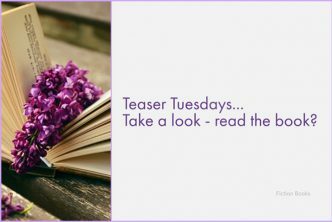 I have a conversation with the author planned for publication day, so I’ll probably hold off on the review until after that, although I am busy trying to get my thoughts together now, while they are still fresh in my mind. This definitely sounds sinister… and premeditated! Oh Yes! sinister sums up this entire storyline, which touches on quite a few social issues of the modern age. Seriously, this was a great book, well written and I can’t wait to chat to the author in a few weeks time. This is quite a traditional murder / mystery in many respects, because although the motive is not altogether clear from the very beginning, the list of suspects is known and contained, albeit a very long list. They are all also gathered together in one place, so it is just a case of working out ‘whodunnit’ and ‘whydunnit’. It kept me turning the pages to the very end! Liking the cover though I have my reservations as to whether or not I’d enjoy this one, your getting ‘carried away’ reading it about the only thing that might find me picking up a copy. The cover is pretty much ‘in your face’, isn’t it? Not one you are going too forget in a hurry and it kind of does what it says on the tin! The author himself has some pretty impressive credentials and past credits, including having several of his books and series stories turned into films. I was really pleased to see that he is also working on a second book featuring Keith and Krista Larson, although it is going to be a prequel, which I am not a huge fan of, which is such a shame. I can only hope that Max then decides to move forward with the characters and give them their own series! I can see where this story as it stands alone right now, could quite easily be turned into a full-length feature film. Still ‘one man’s meat is another man’s poison’ and it wouldn’t do for us all to enjoy the same books! Is it okay for the author to drop by? I am working on a second Krista and Keith Larson novel, and while I originally conceived it as a prequel, it just wouldn’t cooperate — and I realized I needed to spend more time in this place with this people, in their present situation, before going back to essentially do an origin story. 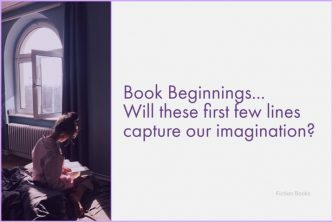 I realized you have to really know the characters well before wanting to hop a time machine to find out more about them and why they came to be who they are. These kind comments are much appreciated. I must admit to being quietly pleased you have decided to change your mind about the prequel for the time being. It is just a personal thing, but I am not that keen on prequels. Also, I want to know whether Keith gets to work with his daughter on any more cases. I suspect that his retirement plans may be short-lived! Following the development of Krista’s character will also be interesting. Thanks for your friendly response. Yes, this series (if that’s what it becomes) is about Krista and Keith as a team. If I’m not out of line, I would argue that what I think bothered you about some of the byways the plotting went down had to do with a couple of things that I feel are vital. First, Keith needed something to do that couldn’t be handled by Krista. Second, I wanted to make the world of the novel bigger and a short Chicago section was a way of doing that, plus it had to do with the murder victim’s background/home ground. Additionally, some action and suspense, beyond just the killer with a knife, was necessary in my opinion, and the mob stuff (relating again to the murder victims’ job and turf) made sense. I already took heat for the investigation being too Christie-like by way of the suspects all being attendees of the reunion…of course, since I love Christie and that kind of story, despite my noir credentials, I find being called Christie-like a huge compliment. Again, thanks for your views and your even-handed, even friendly tone. Please don’t get me wrong. I wasn’t hugely bothered about any of the side story issues, everything worked great for me. I enjoyed your style of writing and the plot development. You might enjoy my novel THE LONDON BLITZ MURDERS, in which Christie is the detective (and the crime is a real one).